Friendly atmosphere. Comfortable beds. Clean rooms. 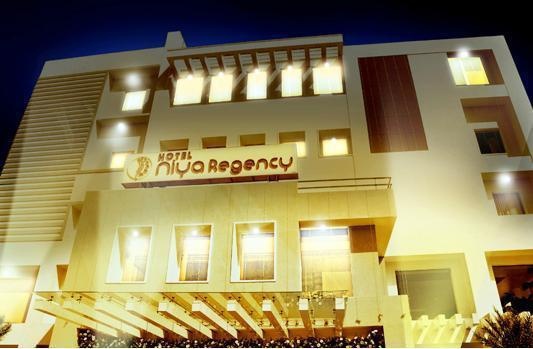 Hotel Niya Regency is a popular choice amongst travelers in Thrissur, whether exploring or just passing through. The hotel has everything you need for a comfortable stay. Free Wi-Fi in all rooms, 24-hour security, car power charging station, chapel, convenience store are there for guest's enjoyment. Each guestroom is elegantly furnished and equipped with handy amenities. Entertain the hotel's recreational facilities, including badminton court, yoga room, wind surfing, watersports equipment rentals, water park. Hotel Niya Regency is an excellent choice from which to explore Thrissur or to simply relax and rejuvenate. Very good hostel. Awesome vibe. Separate lounge. Cosy atmosphere. Ambiance good. Friendly staff. Amazing customer care. Great hospitality. Nice lounge bar. Excellent bar restaurant. Excellent bar. Superb lunch offers. Best sea food. Wonderful seafood. Regular AC. Nice accommodation. Centralized air conditioning. Reasonable cost. Affordable price. Affordable rates. Near station. Far from town. Cool car parking. There is no buffet breakfast. Fair enough breakfast. Complimentary breakfast.